桜 SAKURA 3 瀬割りの桜 Cherry blossom of "SEWARI no TSUTSUMI"
The bank where Kizugawa and Uji River river joins called "SEWARI no TSUTSUMI". 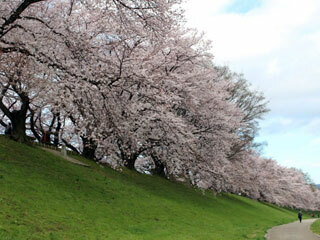 As for approximately 1.4km, 250 cherry trees continue. The tunnel of a splendid cherry tree. The extensive view does not let you feel the noise of many spectators. It is approximately 20 minutes until ride, Yawata-shi Station getting off from Hyakumanben at Keihan train Demachiyanagi Station. 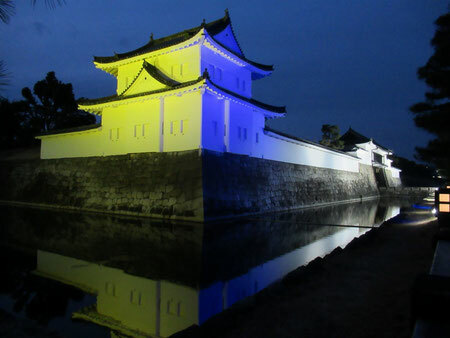 It takes 10 minutes walk from Yawata-shi station. Access is good.